(Open Box) Crafted from John D’Angelico’s original design. D’Angelico's flagship archtop returns in the all-new Premier Series. Crafted from John D’Angelico’s original design, the Premier EXL-1's balanced, organic tone recalls the sound of a classic New York jazz box. 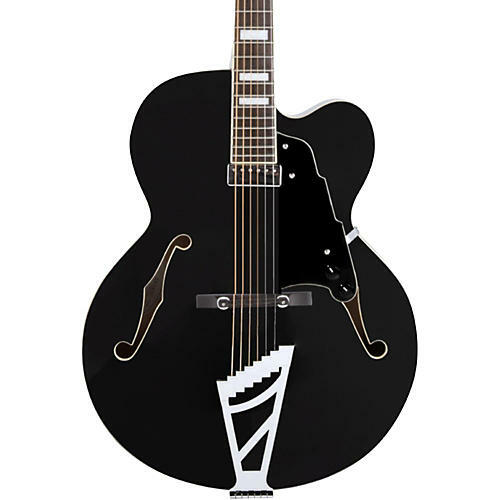 Couple that with signature D'Angelico features in the Stairstep tailpiece, Skyscraper truss rod cover, and iconic headstock, the EXL-1 embodies elegance. Its single floating mini-humbucker highlights its naturally punchy mids and warm acoustic edge. Designed for jazz players worldwide, the Premier EXL-1 is a staple. Includes gig bag.